This chapter provides the enthalpy of formation of La-Pt (lanthanum-platinum) system. 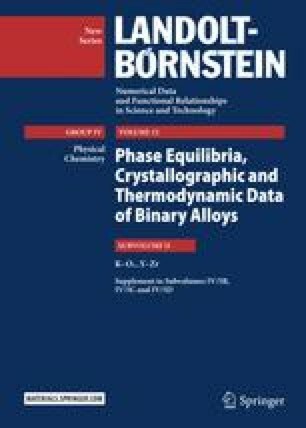 Using high-temperature direct synthesis calorimetry at 1474 ± 2 K to determine the enthalpy of reaction and regarding the average heat content at the same temperature, Selhaoui et al. [93Sel] and Guo et al. [95Guo] have calculated standard enthalpies of formation of intermediate phases. The results are shown in Table 1.